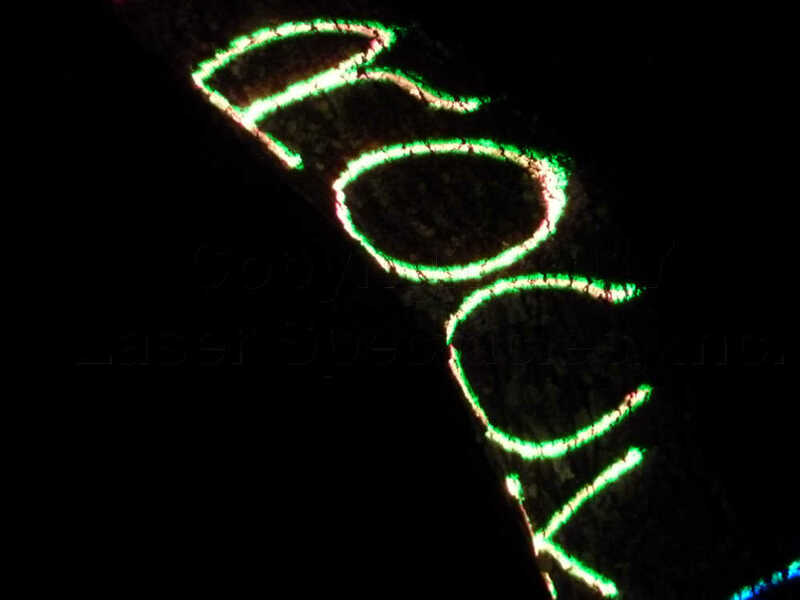 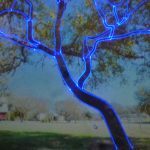 Laser Mapping a Small Oak Tree | Laser Spectacles, Inc. 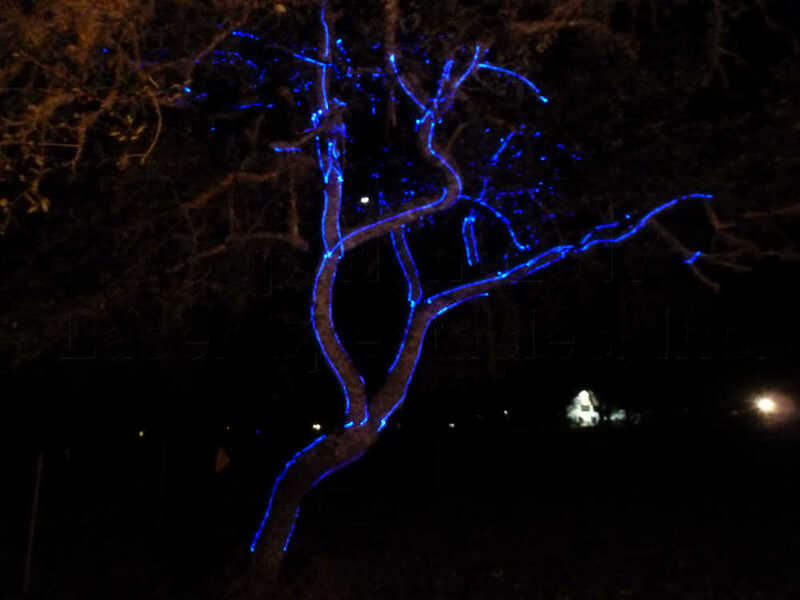 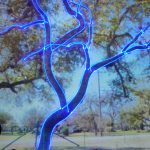 I went nuts last month for “laser mapping” an oak tree! 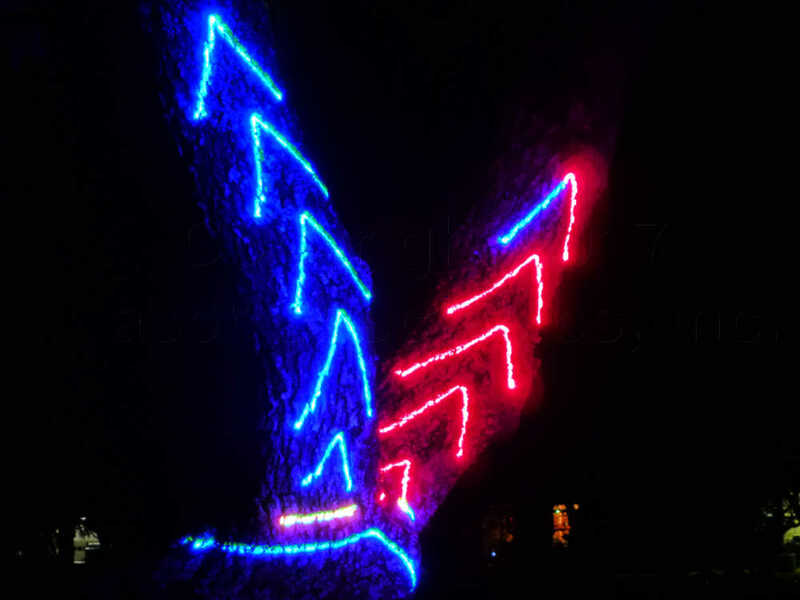 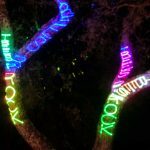 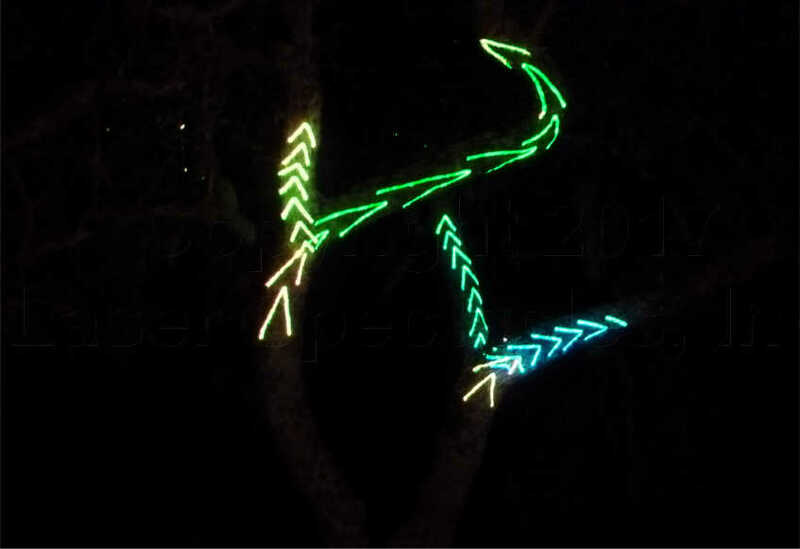 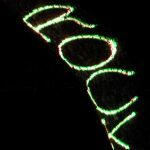 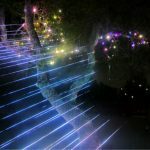 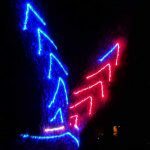 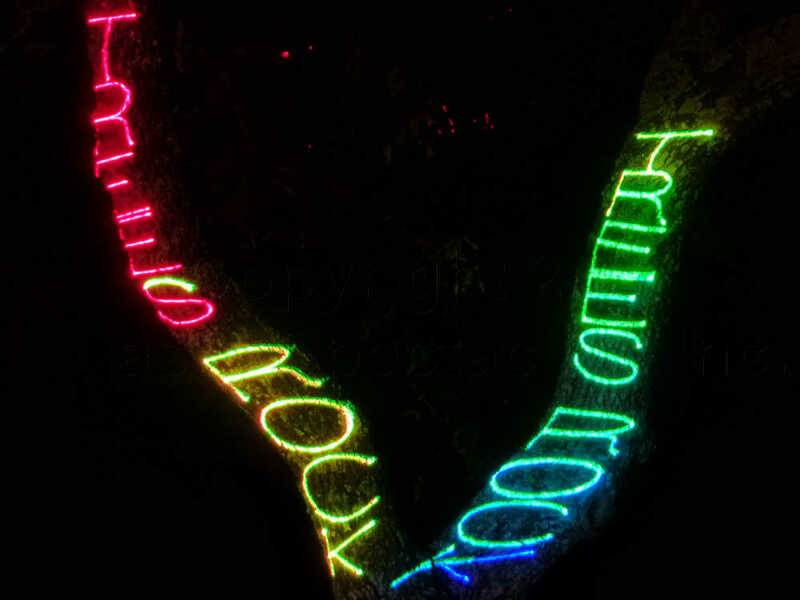 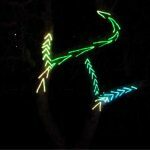 I thought it would look cool to have highly controlled laser beams moving around an oak tree, drawing words and patterns upon the tree and following its shape. 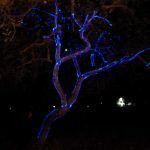 Once I thought about it, I could not get it out of my mind. 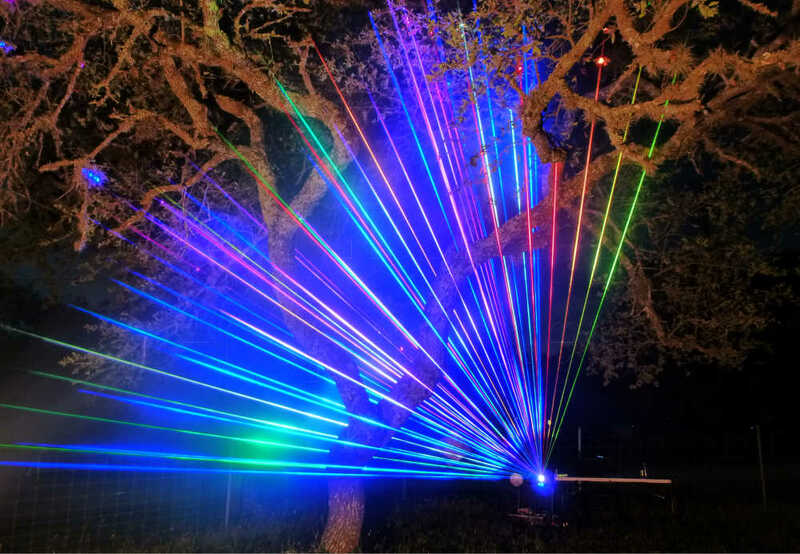 I selected oaks because while they are evergreen, as they grow larger the leaves tend to be more on the outside of the tree leaving the branches more open for laser beam targeting. 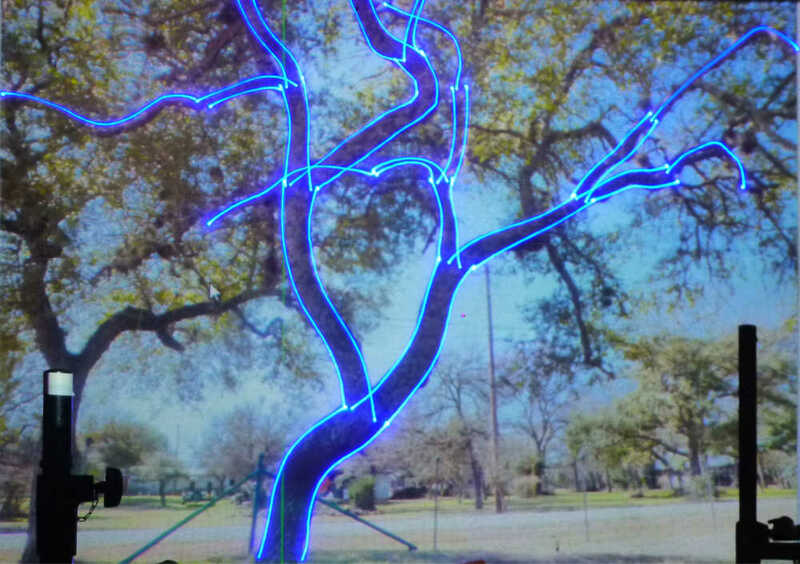 The Live Oaks that we have here in Texas particularly grow in fascinating and amazing three dimensional patterns, and every one is unique. 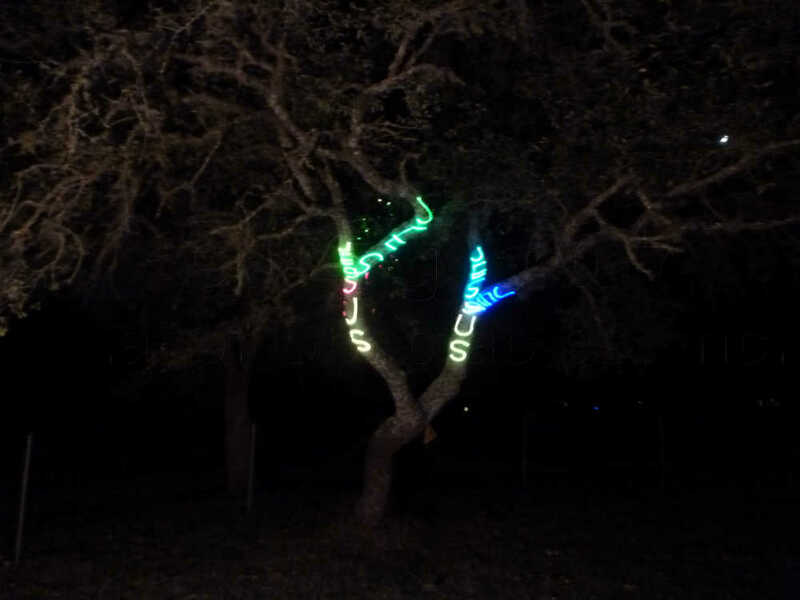 I selected a small tree in our front pasture for a test. 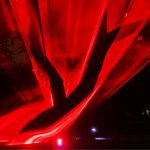 First I took a photo of it front and rear, projected the images in my studio, and worked with those images, creating some movements and patterns of movements that I thought would work. 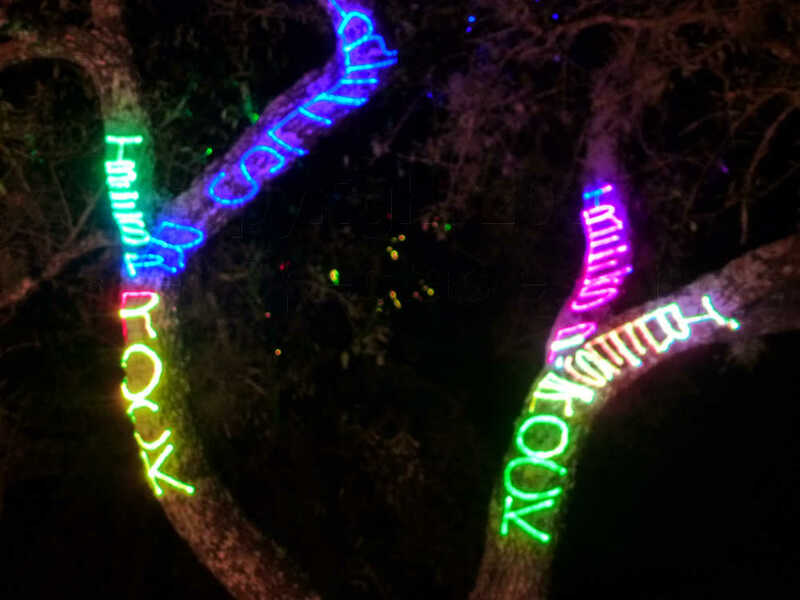 I especially wanted to create words/text that would follow the branches of the tree as much as possible. In the meantime I watched the weather forecast and selected a couple of nights that were projected to be warm enough for me to work outside for several hours (this was January, even in Texas it gets chilly at night). 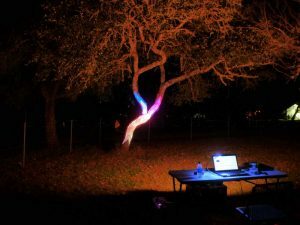 Finally the big day came, I set up a table, a small laser, and my computers and waited for it to get dark. 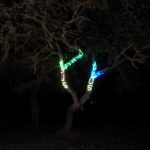 Unfortunately I only had enough time and energy to do one side of the tree, but that was enough to prove that the concept was valid. 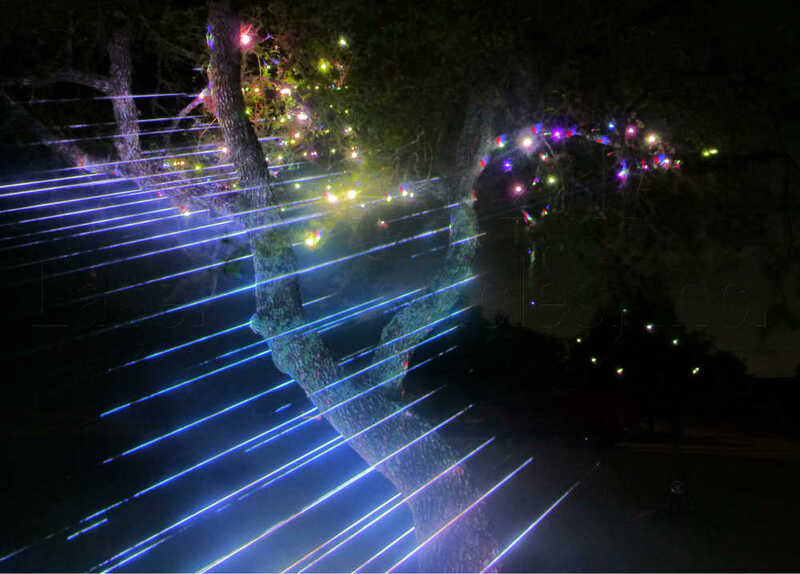 Everything worked out just as I hoped, and the only thing that I would change would be to have more light on the tree for the video shots, so that a viewer would see the interaction of the tree and the laser projections, and I would move the laser projector back a tiny bit from the tree in order to reach some of the higher branches. 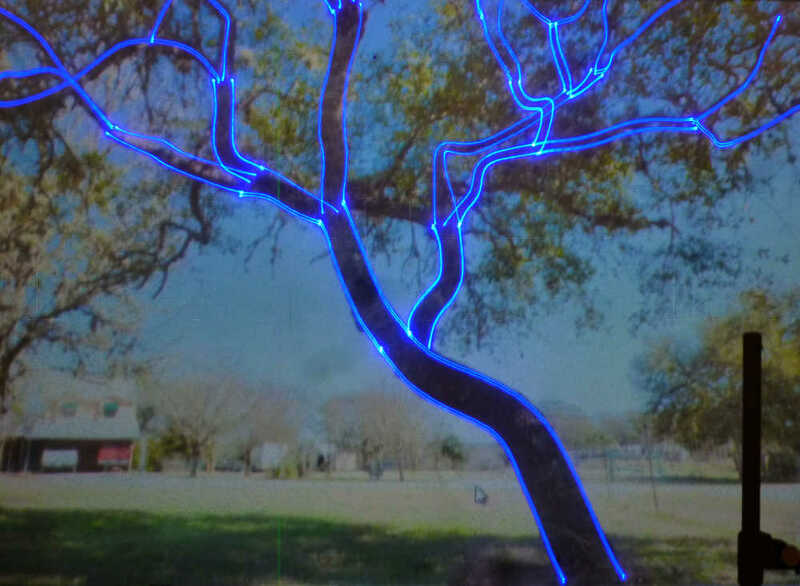 This laser mapping of an oak tree was a success, and my next project on a tree will be on a larger oak and using as many lasers as I think that I need to cover the entire tree. 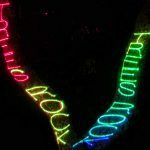 Be sure and check out the video at the bottom of the page! 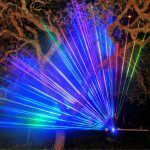 Three months later, I decided to set up again on the other side of the tree, and surround the tree and branches with laser beams, not touching the main branches of the tree at all. 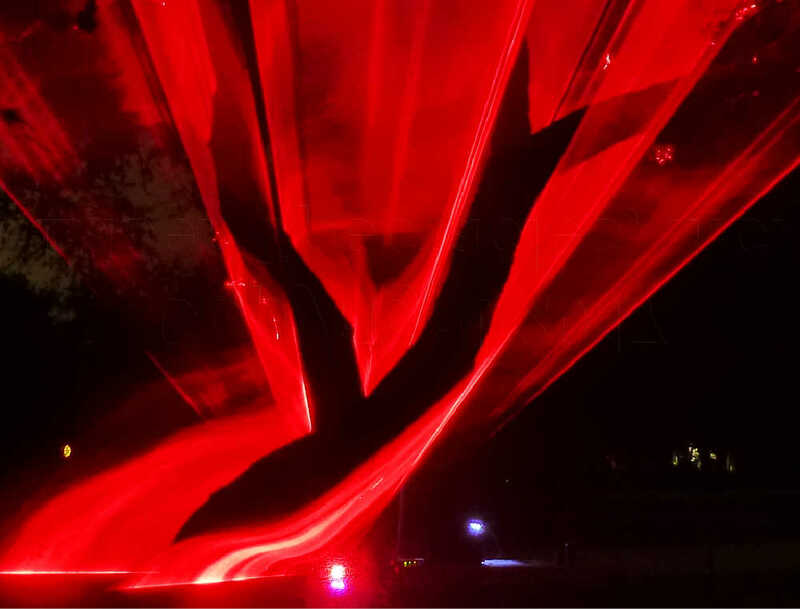 I fired off some smoke and had instant magic!